AMERICAN MOSAIC - Is the Segway the Answer to City Traffic and Pollution? Welcome to AMERICAN MOSAIC, in VOA Special English. And report about some new uses for a transportation device called a Segway. A few years ago, we reported about a new transportation device called the Segway Human Transporter, also known as the Segway. Its inventor called it the world's first self-balancing individual transport vehicle for short distance travel. Mario Ritter has an update on this new kind of transportation. The Segway looks like a large stick with two wheels. The wheels are connected to a platform. The stick has handles for a person to hold. The person stands on the platform and holds the handles. The transporter moves forward or backward when the person moves his or her body in that direction. The driver turns the handles to go left or right. Computers and gyroscope devices on the Segway make it move and balance. It is powered by batteries that are recharged with electric power. It can travel at speeds of nineteen kilometers an hour. Dean Kamen invented the Segway. He says it was meant to reduce pollution and solve other environmental problems in cities. But it was not designed to travel on roads. A Segway costs about five thousand dollars. Many people say it is too costly. However, people who have bought a Segway say it is extremely useful. This is especially true for people who have trouble walking because of medical problems. They report that a Segway makes it possible for them to join others on walks and to travel to their jobs. Other people use the Segway instead of their cars for short trips. They say it is a great way to save money on gasoline. Segways are being used in more than twelve American airports. Security officers say they are able to move quickly on the devices in emergency situations. People on vacation are also learning to use Segways. Segway tours are popular in several American cities. These include Chicago, Illinois; Louisville, Kentucky; San Francisco, California, and Washington, D.C. Tour company officials say it takes from ten to thirty minutes to teach people how to ride a Segway. Then the group uses them to move around the city and see the sights. And speaking of vacations, our VOA listener question this week comes from China. Joshua Hu asks about what Americans do on their summer holiday vacations. Americans do many different things during their vacations. Some people stay at home and enjoy time with their families. They may go to a local swimming pool, zoo or museum. Other people travel to enjoy large national parks, the mountains, the ocean, or large amusement parks. Many people visit interesting American cities or historic areas. Some people visit family members in other states. Still other Americans visit foreign countries. We recently heard about a new use for vacation time -- learning about a new kind of job. This program is called Vocation Vacations. People pay between six hundred and five thousand dollars to work at a job for a few days or a week. Brian Kurth of Portland, Oregon, started Vocation Vacations. He says it serves a valuable purpose. It gives people a chance to try out a job they always wanted without leaving their present job. People use Vocation Vacations to try many kinds of jobs around the United States. These are jobs that anyone can learn to do. For example, they can learn how to make beer, wine, cheese or cakes. They can help train dogs or horses. They can learn how to be a hunting and fishing guide or a gardener. They can work with a sports announcer, television producer, wedding planner or photographer. Or they can learn how to operate a very small hotel, called a "bed and breakfast." Vocation Vacations recently added several new jobs. They include comedian, dog sled driver and hair stylist. The company says the most popular job so far is winemaking. The Vocation Vacations Web site recently asked visitors what prevents them from working at their dream job. More than two thousand people answered. Forty-two percent said the main block is money. Lack of the right education or experience was the answer given by twenty-five percent. Other answers included fear of failure and lack of family support. Cat Power has a warm and dreamy voice. Her latest album, "The Greatest," has a slow blues sound. Critics say it is one of her most powerful records yet. They say the music is soft like a kiss but also as fierce as a kick. Katherine Cole has more. Cat Power is from the southern state of Georgia. Her real name is Chan Marshall. She has been making records for about ten years. Cat Power wrote all the songs on her latest album. They explore different kinds of emotion, including love, hate and loss. Listen to her rich, smoky voice as she sings "Living Proof." Cat Power is known for giving unusual live performances. Sometimes she gets stage fright and refuses to sing. Or she makes emotional comments about her performance if she makes a mistake. She often stabs her hands in the air to call attention to the words she sings. But Power's fans like her honesty. She expresses this emotional tension in her actions and in her songs. Here is "The Moon". Cat Power sings about the beauty and distance of the moon. She compares the moon to a person she knows. 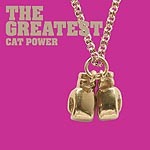 Cat Power made this album in Memphis, Tennessee, an important city in the music industry. Many country and soul musicians became famous in Memphis. Cat Power recorded her album with a group of well-known soul musicians. For example, the guitarist Teenie Hodges plays on all the songs. We leave you with the title song from "The Greatest." The images and feelings she sings about are like poetry. I'm Doug Johnson. I hope you enjoyed our program today. Our show was written by Dana Demange and Nancy Steinbach. Caty Weaver was our producer. To read the text of this program and download audio, go to our Web site, www.insuns.com. Send your questions about American life to mosaic@voanews.com. Please include your full name and mailing address. Or write to American Mosaic, VOA Special English, Washington, D.C., two-zero-two-three-seven, U.S.A.
Join us again next week for AMERICAN MOSAIC, VOA's radio magazine in Special English.